Dental Implants and Esthetics - World Class Smiles! When you visit our office, your smile is our top priority. Our entire team is dedicated to providing you with the personalized, gentle care that you deserve. John W. Faris III offers comprehensive dental services including smile makeovers, dental implant restorations, Porcelain restorations, PREVENTIVE services, HYGIENE, and general restorative services. three generations of U.S.C Family dentistry dating back to 1919 in Long Beach. Please browse through our website and be sure to give us a call if you have any questions and when you would like to schedule an appointment. 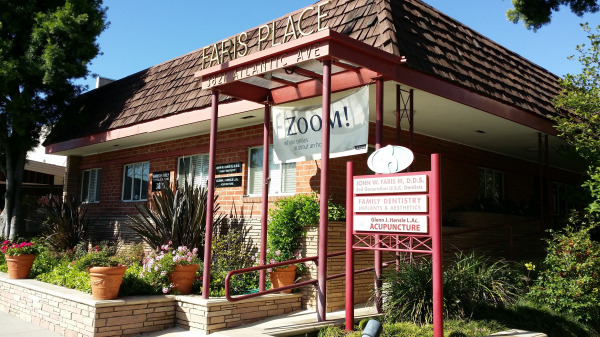 Long Beach cosmetic Dentist, Dr. John Faris is a dental professional dedicated to General, Family & Cosmetic Dentistry such as Dental Exams, Cleanings, X-rays, Fluoride, Dental Makeovers, Teeth Whitening, Veneers, Crowns, & more. Please come and visit Long Beach, CA dentist John Faris, DDS. His practice is located in the Bixby Knolls section of Long Beach.